To remain unrecognizable, the Lone Ranger wore a black mask around his eyes. Together the two of them roamed the West, challenging criminals and setting bad situations right. The series was popular, first as a radio show, then on TV, and finally as a movie. I think the appeal of “The Lone Ranger” was not just because the good guys won. I think it was the fact that the main character acted alone (with help from Tonto). He was no longer just one of the Rangers; he was what some might call “an army of one.” That sense of independence appeals to us. Some would like to follow Christ like that. 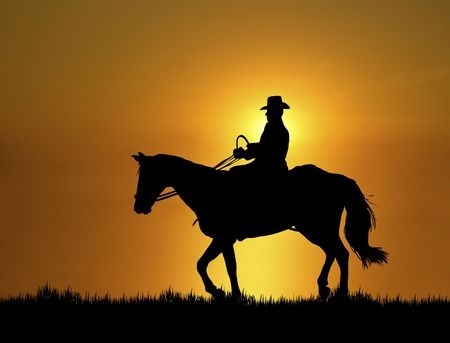 However, there are no Lone Rangers in the Christian faith. While it may be in our nature to resist taking instructions or direction from anyone else, we soon find that following the Lord alone is not an option. We need God’s guidance and we need each other to confirm His guidance. We need to be with other Christians. We need to worship together, pray together, fellowship together, serve together, and share each other’s burdens. We cannot be who we are meant to be away from other members of the Body of Christ. And let us consider how we may spur one another on toward love and good deeds. Let us not give up meeting together, as some are in the habit of doing, but let us encourage one another – and all the more as you see the Day approaching(Hebrews 10:24-25 NIV). We may be tempted to live the Christian life without the support of fellow believers. But no TV minister, inspirational book, or spiritual conference, can replace the weekly accountability and encouragement of meeting with people who know and care about us. It’s easy to say that you can worship God at home, in the woods, or on a golf course. You can and should. But most people don’t. Most of us worship God with other people, and for good reason. You can ask about things in the Bible you do not understand. You can find out how that person you prayed for last week is faring. You can give your tithes and offerings in person, not through the internet or the mail. You can learn how to share your faith with those inside and outside the church. It’s personal and it is meant to be personal. A friend of mine from a Muslim Middle Eastern country had a relative who accepted Christ. In his country to openly proclaim this could well mean a death sentence. So he kept it a secret for years. He did not tell his wife, his children, or anyone else. Finally, several years later he tried to meet with a small group of believers in an “underground” church. They asked him when he came to know Christ. When he told them, they did not believe him and refused to allow him into their group. He asked why they did not believe him. They said that no true Christian would keep his faith to himself. It was unthinkable. Peter said: You also, like living stones, are being built into a spiritual house to be a holy priesthood, offering spiritual sacrifices acceptable to God through Jesus Christ (I Peter 2:5 NIV). How can we be built into a house if we remain scattered about like stones in a field? We have to work together, pray together, give together, and share life together. We live in an electronic culture of disengagement. Social media and texts have separated our thoughts from our voices. But Christ calls us to come together, face to face. We are not Lone Rangers. We are the Body of Christ! Read 977 times	| Like this? Tweet it to your followers!